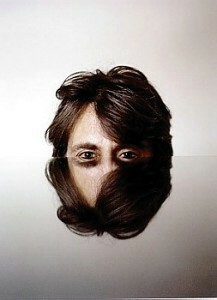 1- It is a selfportrait.2- Only half my head is reflected. (Does it meet requirements? )I was sitting at a dining table which has a glass on top, doing some work. I suddenly thought of this weird picture. (Perhaps saw some reflection or something) I placed the camera on the tripod, set the self-timer... and this is it.